Retreating into Clarity-What Really Matters? If your energy feels scattered and your direction is unclear, it is definitely time to reflect on your values. Hint: If they are colorful and lively, you are on the right track. 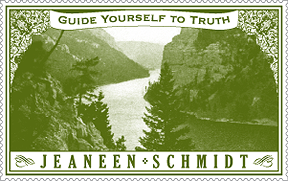 Author Jeaneen SchmidtPosted on May 16, 2013 May 26, 2017 Categories Guide Yourself to TruthTags valuesLeave a comment on Retreating into Clarity-What Really Matters?